We are a vintage barber shop with a modern twist. Our staff practices the art of barbering with skill and precision. We offer fades, straight shaves, men and women's cuts, and specialize in children's cuts. We also offer full body massage in our spa. You can enjoy a complimentary beer while getting your haircut. 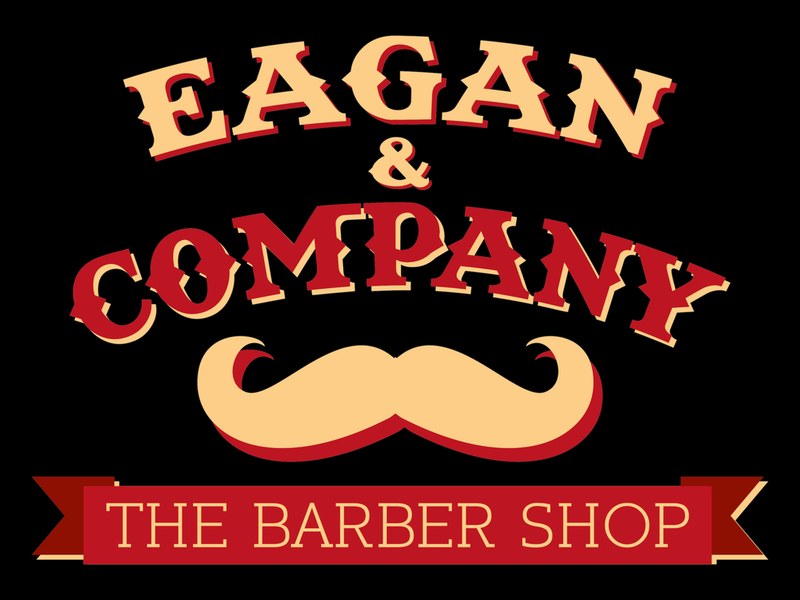 Come see us at Eagan & Company - The Barber Shop. Where the vintage barber meets the modern man. 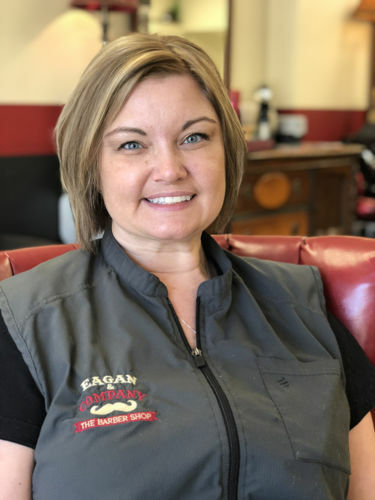 The owner and operator of Eagan & Company Barber Shop. Following a career in law enforcement, Travis decided on a change of pace, bringing over 15 years of hair cutting experience to the shop. Armando brings a wealth of experience from working at Price's Barber Shop. His loyal following of clients speaks for itself! Growing up in the local salon "bangz", Jim had an early start into the culture. It has since developed his interest in art, music, tattoo, hair, and beard. Jim's had a passion for learning about the topics for a long time. Under the tutelage of Eagan & Company, he's realizing his passion and drive, fulfilling his dream job to be a barber. Kim is a loving wife, mother of five children, and an avid animal lover. She has been a successful barber for over twenty-two years. Born and raised in Winchester, Virginia she enjoys helping anyone she can, inside and outside of the shop. Kim loves the opportunity to assist clients with their unique barbering needs. She'll make you look and feel great! Mattie apprenticed at Blake & Co. Hair Spa and PR Barbers, and attended classes at PR Partners Academy. She completed a cosmetology theory class in 2009. While she's been in the salon atmosphere for 10+ years she's been barbering for over a year now. She possesses excellent customer service and communication skills that can make any customer feel like a long time friend. She's skilled in a variety of techniques including straight shaves, skin fades, and undercuts, along with more traditional cuts such as flat tops, Ivy League, pompadours, and more. Stop in to let Mattie help you look and feel your best! Morgan is a Southern born and raised rescuer of junk, kitsch and old what-nots. A crafter and lover of all things aged and animal, books, food, flea markets and sarcasm. 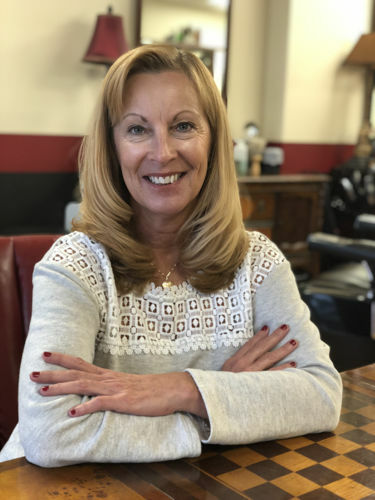 A licensed hairdresser for the last eighteen years, she has also owned three small retail businesses, been a Recovery Advocate Counselor and am a licensed Realtor®. She's lived in five states and nine cities, including Flagstaff AZ, Asheville NC and Austin TX. Her travels and experiences as an entrepreneur and hairdresser have provided her with invaluable customer service skills, the opportunity to hone her communication and utilize her attention to detail. 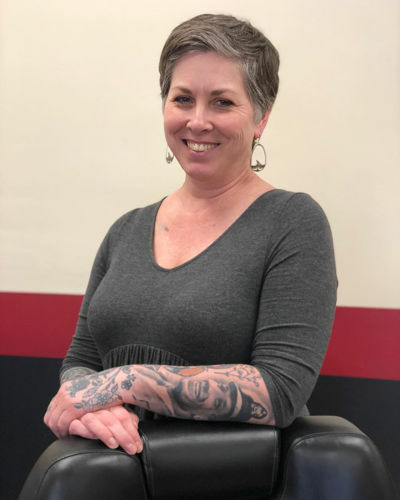 She finds tremendous gratification in helping people and bring her experiences and wealth of knowledge to each client that sits in her barber chair. A graduate of The Winchester School of Massage, Robin has been licensed and practicing as a massage therapist since 2002 and has become a Reiki Master. Over the past 16 years she has worked in both medical and spa/resort environments, allowing her to become proficient in different techniques. Whether pain caused by injury, pain that caused by life stresses, or just to relax and unwind, Robin will listen to your concerns and customize a session just for you. Robin is passionate about helping her clients achieve and maintain a natural and healthy way of life.